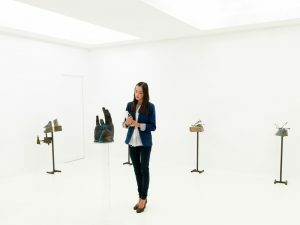 If you have a passion for art, and you want to have a chance to influence the art community, as well as work closely with both artists and the public, a career as an art curator might just be the right thing for you. Today the term art curator has a broader meaning than it’s ever had before. In the past curators were typically people who collected and or oversaw art pieces, collections and historical artefacts for museums and galleries. This has changed with the development of art, and today the term is more complex than ever. Of course, you’ll still find curators working in museums, and for many this will still be the true meaning of curator. But with the expansion of digital art you’ll find a lot more virtual curators. An example of would be a curator who works for a stock photo company, overseeing and developing the digital collection of images available on their website. As curator, no two jobs will ever be the same, because every single collection of art will be different. This means curators must have a vast knowledge of their subject matter, and must be passionate about the field. As far as becoming a curator, you will most likely need to get yourself a degree, and most museums will want at least a Master’s, some even a PhD. You can start by getting a Bachelor’s degree in a field that interests you, whether it’s archaeology, art history or design. If you’re not quite sure where to start, there is nothing wrong with trying out a couple of different things. You can start by checking findcourses.com to see what might be of interest to you. Following that you should start working on an advanced degree, and here a smart choice is art history with a side of language. Skills in French, German or Italian can be of great importance, and is highly valued. It is also important to start building experience during this period, for example as a teaching assistant or intern.